Via Think Progress, Joe Liebeman was on Fox News Sunday this weekend, making filibuster threats again. LIEBERMAN: A public option plan is unnecessary. It has been put forward, I’m convinced, by people who really want the government to take over all of health insurance. They’ve got a right to do that; I think that would be wrong. But worse than that, we have a problem even greater than the health insurance problems, and that is a debt -- $12 trillion today, projected to be $21 trillion in 10 years. CHRIS WALLACE: So at this point, I take it, you’re a “no” vote in the Senate? LIEBERMAN: If the public option plan is in there, as a matter of conscience, I will not allow this bill to come to a final vote because I believe debt can break America and send us into a recession that’s worse than the one we’re fighting our way out of today. I don’t want to do that to our children and grandchildren. Lieberman says he cannot support the public option because he is worried about the national debt. But the public option, in its current form, shows some hope of reducing the deficit, and has no mechanism for increasing it. Any such mechanism would need to be added later, and would be subject to the filibuster. 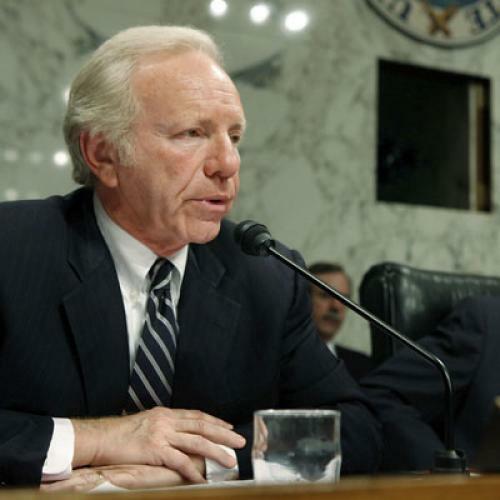 Lieberman isn't much of a liberal, but he's not a stupid man. I'd really like to hear his explanation for how the public option increases the deficit. Maybe he sees something I don't. Consider me equally bewildered. There are plenty of intellectually coherent--if, in my view wrong-headed--arguments against the public option. Fiscal responsibility is not one of them. Senator Lieberman, care to elaborate?